I went to New Haven last week to visit my daughter Anna. 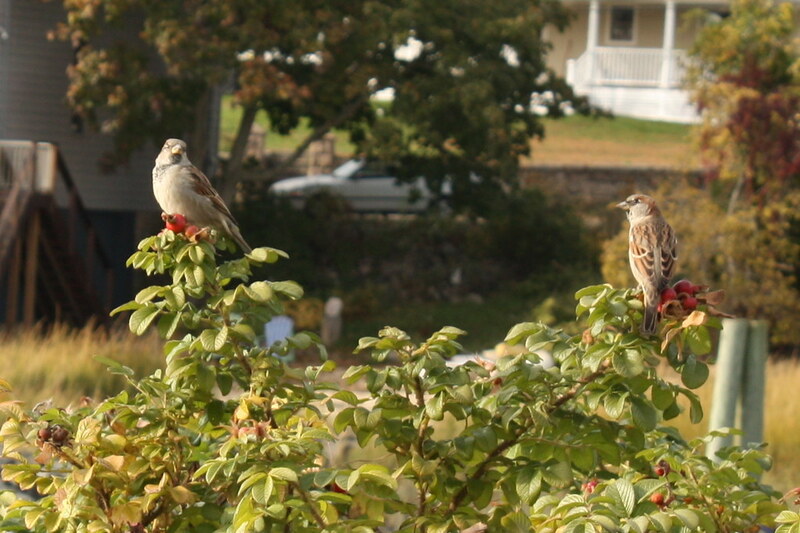 We went to Stony Creek in Branford, where I found a bunch of sparrows on this rose bush. Sparrows are very plentiful on the shore, unlike here. If you know what kind of sparrows these are, drop a comment! I don't know what kind, but it sure is a terrific shot! Beautiful picture. They look like male House Sparrows to me.